This post has been a while in the making. It’s not a particularly difficult subject, but it falls into the “really damn important” category, and that has caused my perfectionist meter to spike. Now, sitting in the Portland airport, with just over an hour until my flight leaves, and just over one day until my journey at the Ashram begins, it’s time to “git ‘er done”. Much of the past ten years has involved a personal evolution of sorts; I grew up surrounded by nature and was raised with a consciousness of the importance of protecting our little blue marble, but had never really been invested in the process. It wasn’t until the past five years or so that I started taking an active part in this process. It started small, with community organizing for a group called 350, taking part in the planning process for a few days of climate action. On August 20, 2011, I was arrested for civil disobedience, and proceeded to spend the next 3 days in jail. That linked post goes into the details, so I won’t talk too much more about it here. That summer was a life changer. I went from armchair activist, signing e-petitions and not much else, to full out environmental activist. I was entrenched in the fight, had skin in the game, and was ready to take on the world. I had received the call loud and clear, and I knew that one of the reasons that I had been put on this earth was to save it. Fast forward a few years, add in more rallies and actions (but no more arrests), a selection to a national leadership team for a climate organization and a national leader training for another, an Executive Director position for an environmental nonprofit, and plenty of stress around the immediacy of the things we were fighting for. Time was slipping away, and we just kept throwing ourselves harder and deeper into the fray. By the time I moved out to Portland last year, I was ready for a change. It wasn’t that I didn’t care anymore; I was just tired. 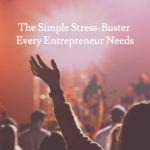 I had been toeing the line of burnout off and on for a while, and the move across the country provided me with the opportunity to regroup and decide exactly where my priorities would lie moving forward. 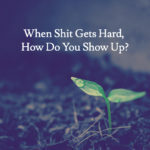 So, you know how when you’ve been pushing yourself for a long time and you finally take the time to stop – and your body relaxes, only to get plowed by the pent-up stress that has been following one step behind you? Yeah. That happened. 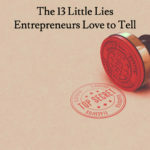 If you haven’t read the first post in this series, a lot of what happened gets explained there. It was a wakeup call, a priority revealer, whatever you want to call it. I couldn’t keep doing things the way that I had been doing them, or I was going to burn myself out to the point of no return. I’ve watched it happen to colleagues, and it’s not pretty. Don’t get me wrong: I still have that burning desire to save the world. I just know now that I can’t go about it the way that I was. In fact, I think there’s a better way for all of us to approach our world changing work. It took a giant slap in the face from the universe for me to see it, but it’s getting clearer with every passing day. That’s what Rebel Yogi means to me: the opportunity to have massive, world changing impact while remaining whole and balanced. Just imagine it – a world where making a difference can also mean a better life for those creating the change. Let that sink in a minute. Bask in the idea. It’s possible – now it’s time for us to step up to the challenge and start to live it. My flight starts boarding in 15 minutes, so I’m signing off for now. I’ll be posting weekly from the Ashram, and posting up a few more Changemaker Q&As along the way. Stick around. It’s going to be an amazing journey! Michael Margolis wrote a post recently about origin stories that provided the inspiration for this series of posts. This is part 2. Also: part 1 and part 3. Excited for you, Rebel Yogi! To the art of illumination. Thank you, Kelly! Can't wait to actually sit down with you for tea once I'm back in Portland. Excited for you and this next part of your journey! EnJOY! Thanks so much, Susan! Looking forward to seeing you this weekend!